Manufacturer of a wide range of products which include nitrile palm coated knit lined safety cuff, neoprene rubber hand gloves, electrical rubber hand gloves, heavy duty glove, industrial safety glove and high heat gloves. We offer our valuable clients Nitrile Palm Coated Knit Lined Safety Cuff. Made out of Aluminized Dual Mirror Fiber Glass / Aluminized Kevlar Fabric. Fitted with the Neotherm Furnace Observation Glass (Cobalt blue). "Neotherm" is available in shades 4-7A1 DIN - 7A1 DIN. Available in size : 50mm Dia , 110mm X 60mm rectangular. We design and develop superior quality Neoprene Rubber Hand Gloves. State-Of-Art Sporty Aviator Styling For Better Workers Acceptance. Lenses Approved To Is 5983-1980 For Temp. Impact Resistance And Ophthalmic Clarity. Easily Replaceable Lenses For Better Economy. Half The Weight Of A Glass - Replaces Obsolete Toughened Glass Lense Technology. Clients can avail from us supreme quality Electrical Rubber Hand Gloves. We are a prominent Heavy Duty Glove manufacturer and supplier based in India. 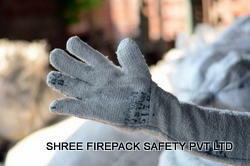 Shree firepack safety pvt ltd specializes in offering qualitative range of Heavy Duty Glove.Also our range of product include like yarn, ropes, cloth, webbing tapes, fire blanket, aprons, suits, welding blanket,coated & uncoated fabrics made of asbestos,non asbestos material like glass fiber, cermaic fiber & silica. We are a prominent Industrial Safety Glove manufacturer and supplier based in India. 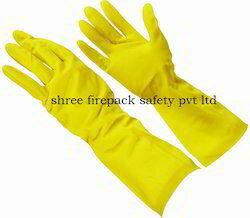 Shree firepack safety pvt ltd specializes in offering qualitative range of Industrial Safety Glove.Also our range of product include like yarn, ropes, cloth,webbing tapes, fire blanket, aprons, suits,welding blanket, coated & uncoated fabrics made of asbestos, non asbestos material like glass fiber, ceramic fiber & silica. 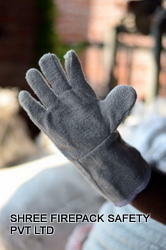 We are a prominent High Heat Gloves manufacturer and supplier based in India. 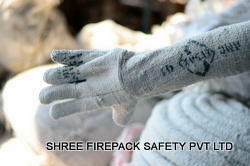 Shree firepack safety pvt ltdspecializes in offering qualitative range of High Heat Gloves Also our range of product include like yarn, ropes,cloth, webbing tapes, fire blanket, aprons,suits,welding blanket, coated & uncoated fabrics made of asbestos,non asbestos material like glass fiber,cermaic fiber & silica. 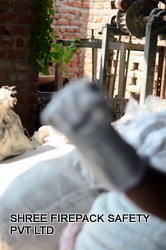 We are a prominent Cloth Glove manufacturer and supplier based in India. 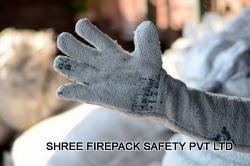 Shree firepack safety pvt ltd specializes in offering qualitative range of Cloth Glove.Also our range of product include like yarn, ropes,cloth,webbing tapes,fire blanket,aprons,suits,welding blanket,coated & uncoated fabrics made of asbestos,non asbestos material like glass fiber,cermaic fiber & silica. We are a prominent Heat Resistant Gloves manufacturer and supplier based in India. 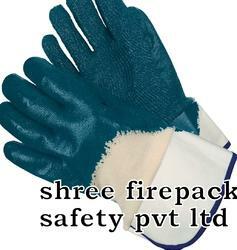 Shree firepack safety pvt ltd specializes in offering qualitative range of Heat Resistant Gloves .Also our range of product include like yarn, ropes,cloth,webbing tapes,fire blanket,aprons,suits,welding blanket,coated & uncoated fabrics made of asbestos,non asbestos material like glass fiber,cermaic fiber & silica. We are the manufacturer, supplier and importer of Welding Gloves. Our company specializes in offering qualitative range of Welding Gloves. We are a prominent Welding Gloves. manufacturer and supplier based in India. We are the leading manufacturer, supplier and importer of Welding Gloves. 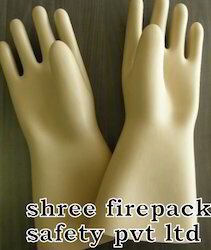 Shree firepack safety pvt ltd specializes in offering qualitative range of Welding Gloves..Also our range of product include like yarn, ropes,cloth,webbing tapes,fire blanket,aprons,suits,welding blanket,coated & uncoated fabrics made of asbestos,non asbestos material like glass fiber,cermaic fiber & silica.